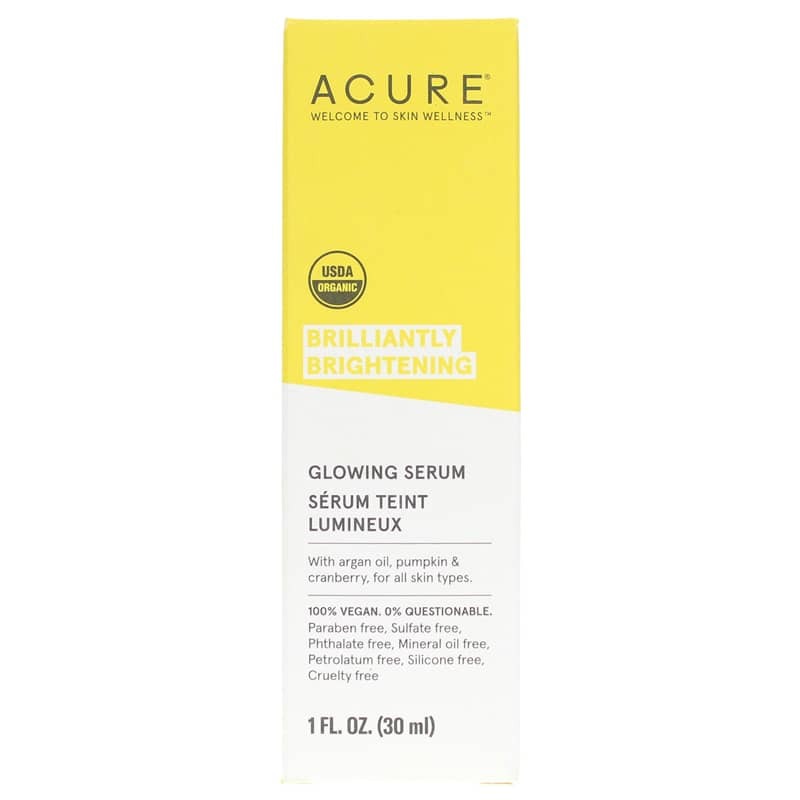 Brilliantly Brightening Glowing Serum from Acure provides a dose of concentrated, targeted organic bliss while benefit-rich nutrients deliver radiant results. 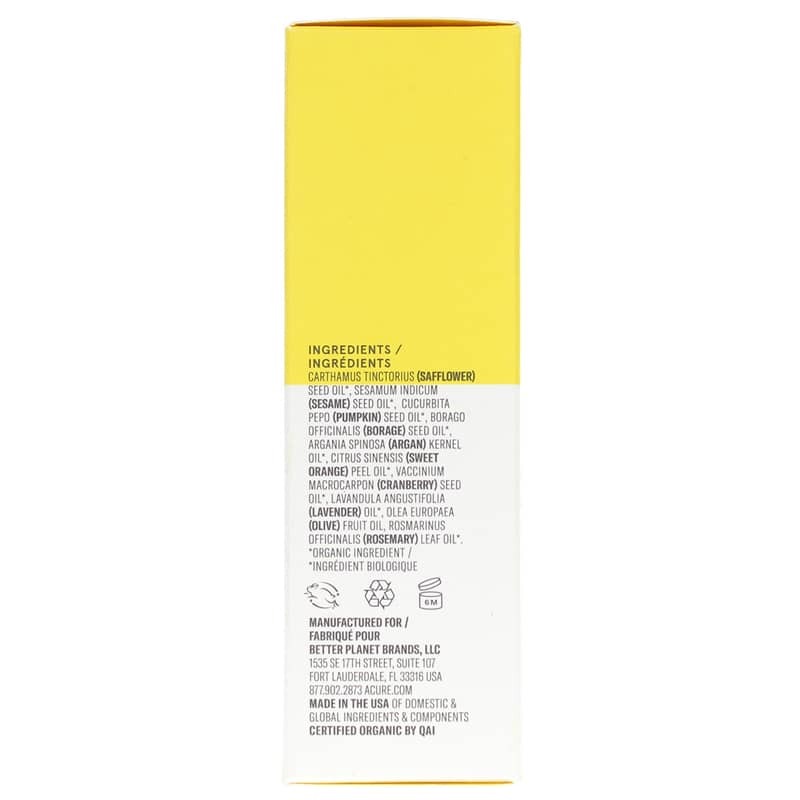 With argan oil, pumpkin & cranberry, for all skin types. 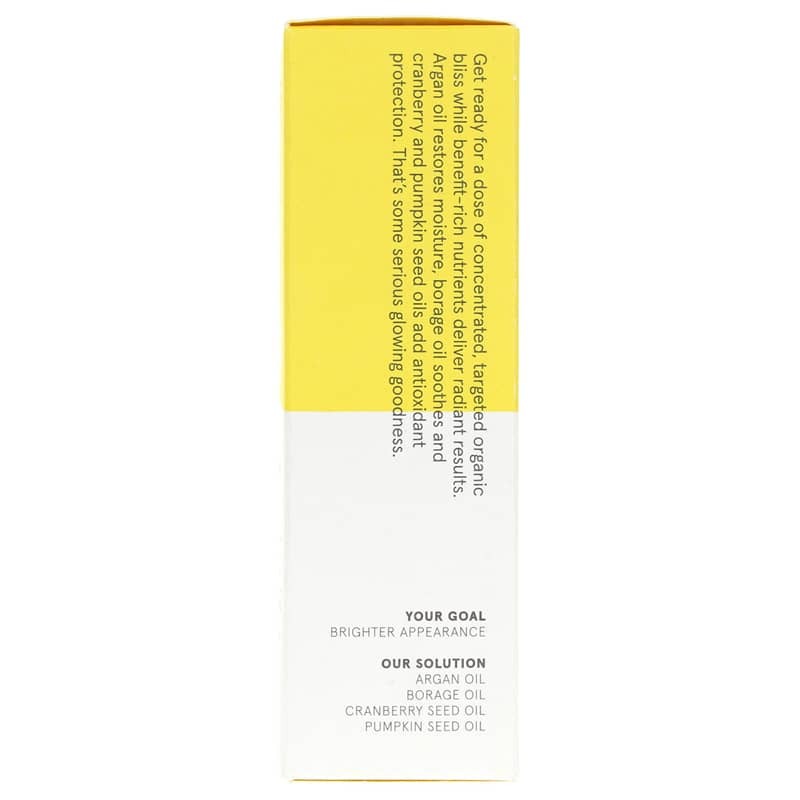 Argan oil restores moisture, borage oil soothes and cranberry and pumpkin seed oils add antioxidant protection. Carthamus Tinctorius (Safflower) Seed Oil*, Sesamum Indicum (Sesame) Seed Oil*, Cucurbita Pepo (Pumpkin) Seed Oil*, Borago Officinalis (Borage) Seed Oil*, Argania Spinosa (Argan) Kernel Oil*, Citrus Sinensis (Sweet Orange) Peel Oil*, Vaccinium Macrocarpon (Cranberry) Seed Oil*, Lavandula Angustifolia (Lavender) Oil*, Olea Europaea (Olive) Fruit Oil, Rosmarinus Officinalis (Rosemary) Leaf Oil*. After moisturizing, warm 1-2 pumps of serum in your palm and gently apply to face, neck and chest. 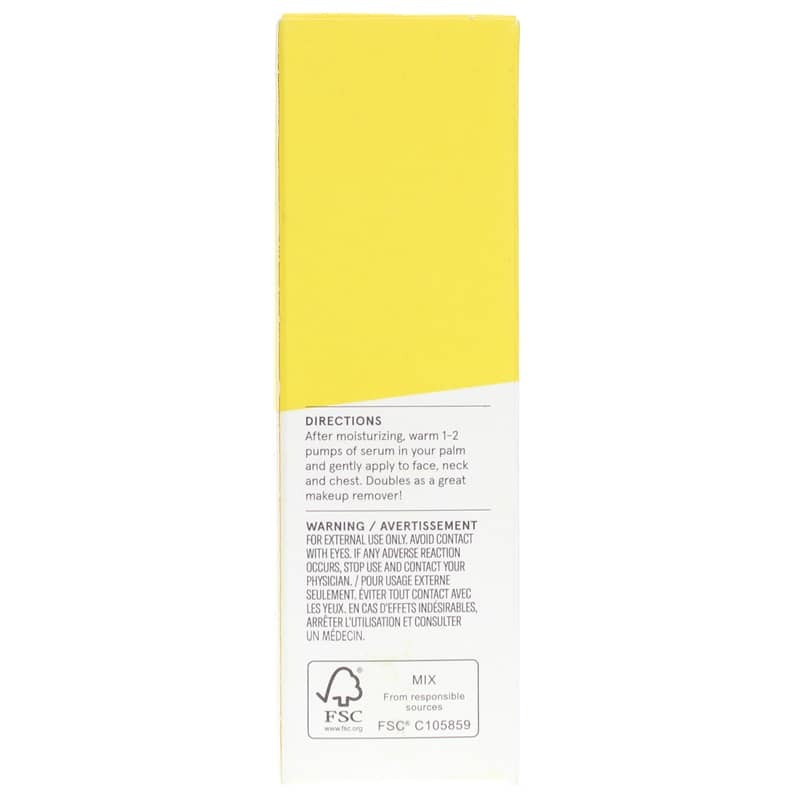 Doubles as a great makeup remover! For external use only. Avoid contact with eyes. If any adverse reaction occurs, stop use and consult your physician. Keep out of the reach of children.